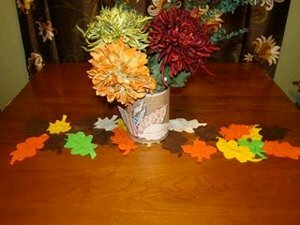 Here's one of the easiest fall craft ideas. 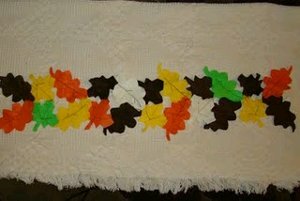 Make a leaves table runner from felt leaves. 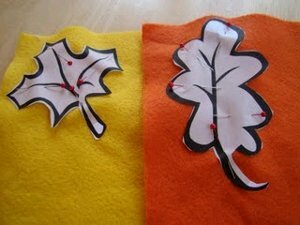 This autumn craft project from Fawnda Norman only requires minimal sewing skills. Sewing machine (optional- you could hand sew if you want! 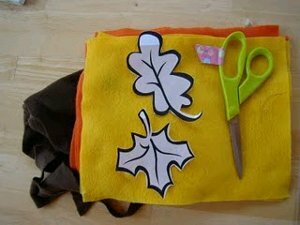 Cut out a BUNCH of leaves out of your felt/ fleece. 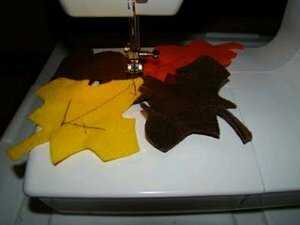 Sew sets of two leaves together at the tips. 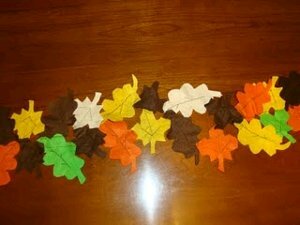 Line up at your pairs of leaves to get an idea of what order you want them to be placed in. I didn't want the same kind or color of leaf to be touching, but otherwise it was pretty random. 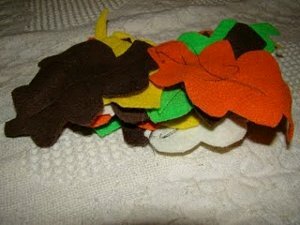 Pile up all your leaf pair in the order you want to sew them. 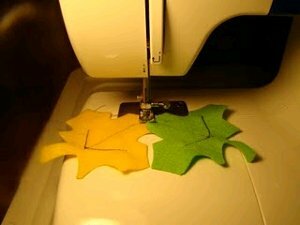 Sew your leaves pairs together. This also can be a bit tedious I sewed some together at the tips and others more to the bottom part of the leaves. I just had to see how it fit the best. But I would guess if you are a quilter you would probably be better at lining these up than I was. Lay it out on you table. what a great idea... you could adapt this for any time of year. Flowers for spring, birds for summer, hearts for Valentines Day and snowflakes (think pre-crocheted snowflakes) for winter. 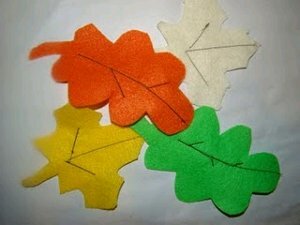 I have made this many times in the past, but used actual leaves to produce the patterns on paper it worked really well.